With VoIP and webcam use on the increase, this handsfree headset will make conversations easier. Offering twin stereo jacks and a built-in microphone, you can equally use this headset with your phone as well as your laptop. 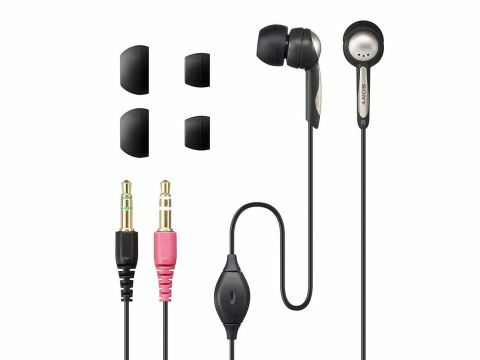 With three pairs of silicon ear buds of varying sizes, you can fit the size right for you. The buds are designed to sit inside the ear and exclude most external noise. We found quality was so good we had to turn our music player down to get the best effects. The cable is 1.2 metres in length, which gives you plenty of flexibility, but we're not too sure about the build quality as the cable is a little on the thin side - great for keeping weight and size down, but less ideal for everyday use. Fortunately, a carry case is supplied so you can wind them away when not needed.